Happiness, ironically, can be a controversial subject. 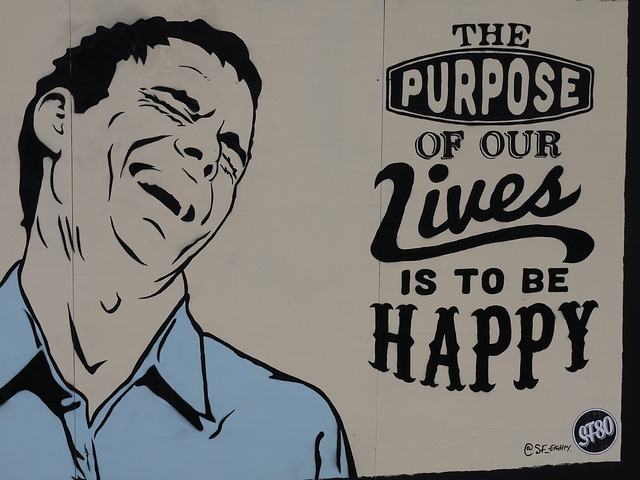 Many folks believe it is not our destiny to be happy in this lifetime—in this “world of woe,” as some say. I never accepted that as an adult, although I did when I was a youngster. Happiness is not the impossible dream many believe it to be. Certainly, continuous happiness is not most people’s experience. That does not mean we cannot be happy most of the time. We can, and there are many folks—at least in my experience—who demonstrate that. I’m blessed to be one of them. Happiness is within you—it’s an inside job. No one, no thing can make you happy or unhappy. It’s all your doing, either way. You are not responsible for making anyone else happy, no matter how much you love him or her. The best way to help someone be happy is to be happy yourself. Selfish? Yes, but it’s the only way that works. If you know you have all you need in this present moment, you’ll find it easy to be happy. The key to happiness and abundance is to be fully present in every moment of your life. Connect with your true self through meditation, and happiness will flow naturally from that. Meditation helps you release the past without regret and move into the future without fear. Then you will be happy. Happiness will flow naturally to you if you realize you are safe, you are loved in this present moment. When you discover that happiness is within you and nowhere else, you will no longer look outside yourself for it. Know all your power is in this present moment. That is one key to happiness. Another key to happiness is to be fully in the present moment. Only in the present moment is happiness possible. The happier you are, the longer you’ll live. Happiness is your natural state of being. It is your birthright as a child of the divine. When you believe happiness is an impossible dream, so it will be for you. You will find unhappiness everywhere you look. When you believe happiness is your birthright, you will find happiness everywhere you look. Do you consider yourself mostly happy or unhappy? Do you believe God’s will is for you to be happy? Please share your thoughts and comments with us below. Being happy is a general idea. When I try to be more specific it can easily crumble. Some say that our purpose is to transform suffering. When accomplished that can easily be interpreted as being happy. A monk who believes that spending a lifetime in a cave meditating on Godliness imo is totally useless to God. It is an experience which lacks experiences and is more akin to stagnation. Also if the form of selfishness mentionned is one where the focus is on ego, this is even worse than stagnation. This gets tricky. Obviously if my intent is to make myself happy by being of service to others it can easily be said that my focus is on other. But is it, really? The line seems to be pretty fine. Then we speak of unconditional love. Still two people, or more actually, can encounter the same experience and act in different manners and all in the name of love. How do we know what is best for the other person´s consciousness evolution ? The key seems to be resting with the intention rather than the specific action. WWe have been told to love our neighbor, our enemy even. Heck I find it difficult enough to love my wife at times and when I see that I am not being loving I certainly cannot be happy. Is that what the ancient saints had in mind with their self-flagellations and such? For example, say if my intent was to run the four minute mile. And say I devoted half of my life to getting there and finally on day I did. I would certainly feel happy, joyful even, but for how long? That experience would certainly bring me to something else. Still that is ego, for the most part. Apparently fhe end goal is to help greater consciousness to grow, to expand, to keep living by doing our share of it in this world in this lifetime or in others. The more that is done the more happy we and all that is can be, whatever that means on those levels because from that perspective we are all one. Thanks very much, Ron, for your insights. Indeed, we are all one. Happiness is the pleasure of your company, the joy of reading what you write. To lift up your mind one needs to be happy with who they are, right now. The only time I get sad is when I lose myself in a memory and I play it over and over again. It takes me a moment to realize what I’m doing, that is when I smile and turn away to the place inside me that is only love and joy. I no longer am happy. Once we realize that love in joy is within each of us we are stronger and happier. There are those we never see in the physical world yet the walk with us, talk with us and believe in us. To return that favour is a building block of love and happiness. We need only to believe in our self and those invisible helpers that upholds us. Thank you, Jeannie — that’s beautiful! by the way thanks for this post! Love it! i have a nagging question… they say higher vibration of happiness means you will be healthy and illness comes as a result of lower vibrations. the question is then highly spiritual masters who seem to have attained enlightenment why they are not living significantly longer than others?? Meaning if those people live a clear 150-200 yrs or more, then it would have been much easier to believe that thoughts create health. That’s a good question. I don’t have an answer. But we’re all human, even the spiritual masters. None of us can fully know what’s really in the hearts and minds of others. But I believe our bodies were engineered to live indefinitely. Somehow we, the human race, have lost sight of that. will be cool if i can have those actual experiences..!! Thank you for your powerful message John and beloved Chief Joseph. Sensing the loving support of our family in spirit is an abiding joy. Thank you so much, Kelli! We appreciate your kind words and thoughts.